This month we have included a fresh batch of enticing foodie hotspots for you to explore! March brings with it the faint promise of spring through this erratic, chilly and sometimes hindering weather, so we've included some wonderfully nourishing and filling dining options along with healthy options to keep your immune systems tip top (office plague, leave us be)! Of course there is a fun option too, for those of you who to like to let your hair down with a champagne in hand. Please feel free to email me at victoria@thelondonmusings.com if you'd like to check in with any dining related enquiries. Cover image: Mr Fogg's Residence. Share Popina's avid passion on a plate right in the heart of Mayfair. 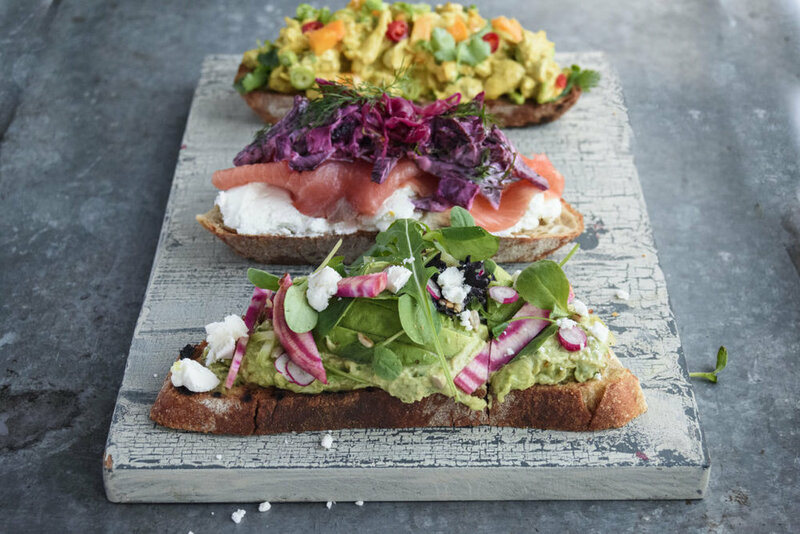 From farmers' markets all over London to an impressive bricks-and-mortar site on Mayfair's famous Duke Street, Popina is offering colourful options for breakfast, brunch, lunch, afternoon tea and pastries daily. Freshly handcrafted in the kitchen and served with love, Popina's delectable goodies are an excellent way to fuel up for the day ahead. There are two parts to this story! The Burger: To make a great burger you have to start with great beef. B&L's Angus beef is 'Best in Class' from Nebraska - three parts of the bull blended and full of flavour. Burgers are grilled and cooked to perfection. The open flame grilling adds another layer of B&L goodness. Combined with our seasoning, specialty sauce, toppings and classic bun, this is a burger for the books! The Lobster: The Journey of B&L lobsters starts in Nova Scotia, where the waters are deep and the lobsters are flavourful. Regardless of what Burger & Lobster location you are at, lobsters are flow in throughout the week to provide optimal freshness. 'The Lobster Spa' at B&L is a stress-free environment that mimics the ocean allows the lobster to maintain its flavour. Perfect for both grilled-lobster and steamed-lobster people. Dover Street's Raw Press boast a constantly revolving menu of nutritious food and drinks. Raw Press is a leading health and wellbeing brand, with a delicious range of organic, raw and cold-pressed juices available. They are made in London using a slow hydraulic process with very little heat generated and minimal oxidisation, such that the juices retain the highest possible level of nutrients. Duck into Raw Press for an instant nutritious hit this month. Back by popular demand, Hélène Darroze’s famed gastronomic approach to the humble Sunday roast returns this month. The new four-course roast chicken menu, Le Poulet du Dimanche, will be served in her restaurant at The Connaught on weekends. Dessert is a show stopping affair with a theatrical flair made with the freshest of eggs using a variation of exotic fruits. This special menu is available every Saturday from 12-3pm and Sunday from 12-3pm and 6.30-9pm, priced at £150 per couple. Booking is recommended (+ 44 (0) 20 3147 7200). The eccentric British adventurer, Phileas J. Fogg, Esq. welcomes you to his London-based residence, tavern & gin parlour. Celebrate life and love at this unique and warming home-from-home, just off of Berkeley Square. We recommend the Tipsy Tea at weekends, a 'most intriguing and unique' selection of exquisite champagne and gin teas expressly created by Passepartout and the household staff for an indulgent afternoon of delectation and pleasure. Served alongside a selection of sandwiches and cakes. From £40 per person.